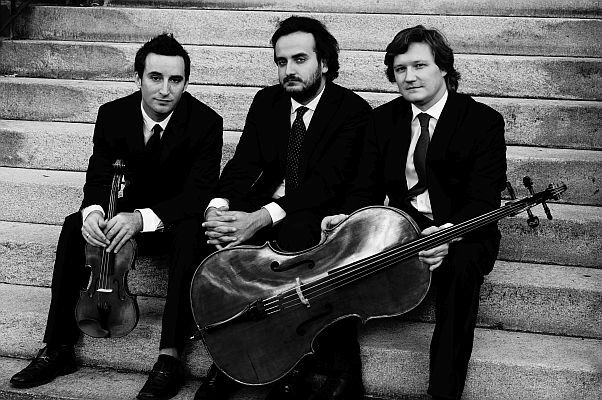 The New England based Atlas Piano Trio prides itself on being a trans-atlantic ensemble that presents historically-informed performances of the trio canon as well as music of the current century. Being portrayed as “Gary, the all-American boy next door; Ignacy, the mellow, kind and good-humored Slav; and Cihan, the dark and serious Turk,” the Drozdoff Society’s Impromptu! Classical Music Series further described their distinctive personalities coming together for a “powerful and riveting performance”. The trio was born out of friendship and passion for chamber music during their doctoral studies within the Hartt School’s honors chamber music program 2020, a fellowship that enriches the collaboration of its students through intensive chamber music study, innovative programing and community engagement. The Atlas Trio has performed throughout New England, including performances at the historic Lyric Hall in New Haven, CT, and the Amadeus Piano Company in Stamford, CT. They have fervently embraced the historically-informed performance practice movement, continuing to apply principles from historical treatises to their interpretations of the eighteenth, nineteenth and twentieth centuries. They are passionate about discovering historical pianos, actively seeking various private and public collections.